Usually applied as obstacle avoidance and path planning. 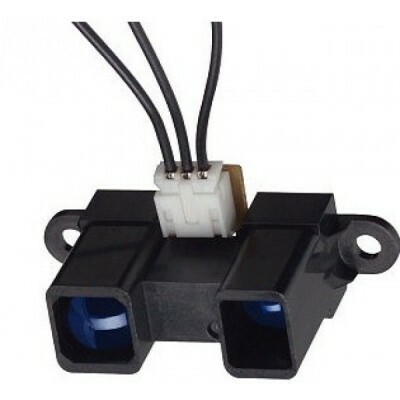 This SHARP infrared distance sensor takes a continuous distance reading and returns a corresponding analog voltage with a range of 20cm (8") to 150cm (60"). Voltage: 4 - 5.5 V.
Current: 33-50 mA current consumption. Output: analog output, the output voltage is proportional to detection range.